Your sciatica pain can vary from mild to severe, and can manifest as a dull ache, tingling sensation, or a burning sensation, and may accompany some weakness in the affected leg. Your symptoms may be felt as far down the leg as your calf muscle, and possibly even into the sole of your foot. Your doctor may recommend various forms of treatment, depending on the underlying cause of your sciatica. Where surgery can be ruled out, simple treatment such as the application of heat to the painful area may be suggested, along with bed rest, and possibly some anti-inflammatory medication. Exercise to strengthen the abdominal muscles is usually advised once the pain has dissipated (contact us for some exercises to help prevent sciatica pain). 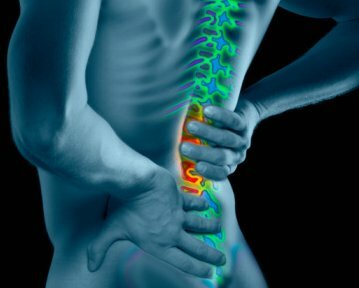 How can natural therapy help with sciatica? Natural therapy is excellent for preventing and managing your symptoms of sciatica. Nutritional counselling can help ensure that you are eating the right foods and supplements for optimal health. Acupuncture and TCM can help balance your nerve conduction and relieve your pain, while yoga can help prevent further injury. Massage therapy can relieve you of some pain, and can help improve your muscle conditioning. Contact us for a FREE consultation on how natural therapy can help you prevent or manage your symptoms of sciatica.